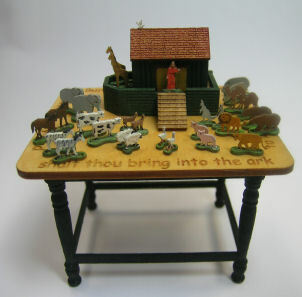 A wonderful table to display our Noah's Ark Play set. The table top measures 3" x 2 1/2". Around the outer edge the table top is engraved with fragments of scripture from Genisis, the story of the ark. Lovely turned legs can be painted or stained.